Figure 1-17.Bill of Material/Material Takeoff Comparison Work Sheet. Home > Construction Training Manuals > Steelworker Volume 02 > Figure 1-17.Bill Of Material/Material Takeoff Comparison Work Sheet. Figure 1-17. 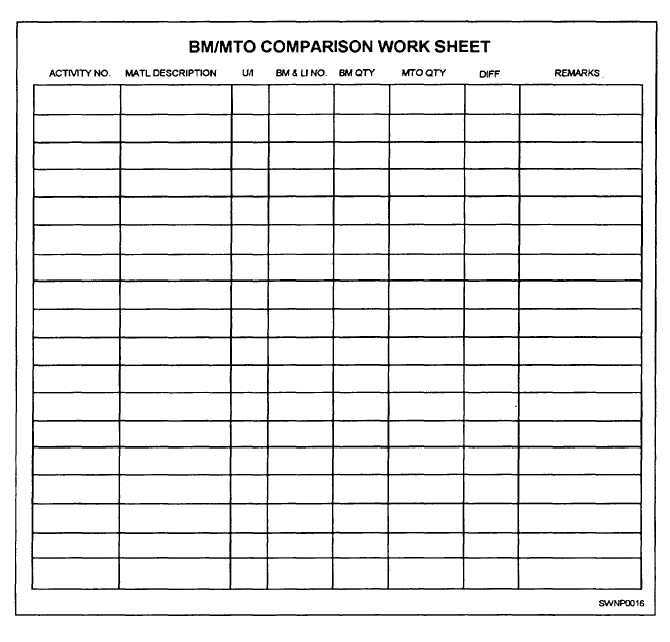 - Bill of Material/Material Takeoff Comparison Work Sheet.